According to the CDC, kids need at least one hour of exercise every day to stay healthy. But, of course, more is even better. Not sure how to get your kids to get the activity they need? You might want to try football games for kids. Studies show that in the U.S., kids of all ages don’t get enough exercise. Even preschoolers don’t often get the physical activity they need. For many kids, this lack of exercise turns into bad habits that plague them into their teens and adulthoods. Just like adults, most kids are reluctant to do things labeled as “exercise.” They might not look forward to P.E. class any more than you look forward to going to the gym. But if you turn exercise into a game, your kids will learn that physical activity is fun and feels good. Football games for kids are a great way to get your kids exercising more. And you don’t have to invent new games yourself, you can just buy a few simple items that offer plenty of creative options for play. Which Games Will Your Family Try? You probably already know why adults need exercise: it promotes good health, builds muscle, limits weight gain, and so on. But for kids, exercise is even more important. Let’s take a look at some of the reasons why. If you want your kids to be healthy, active adults, it’s important to start them young. If they’re used to living an active lifestyle, they probably won’t abandon it when they become teens or adults. Promoting exercise means helping them stay healthy for years to come. Exercise can also help your child with his or her emotional well-being. For many kids, childhood comes with a lot of challenges. Homework, friendships, and busy extra-curricular schedules can create sources of stress in childhood. Exercise helps them manage these challenges as they grow up. Although researchers aren’t totally sure why exercise boosts people’s moods, the effect is well-established. Get your kids working out so they can reap these benefits, too. Crucial internal organs get stronger and work better with regular exercise. If you invest in football games for kids, the results include healthy hearts, lungs, and more. Exercise even helps clear out dangerous buildup from the arteries and veins. It keeps cholesterol in the blood low, and strengthens blood vessel walls. These effects will help keep your kids healthy for years to come. Having better coordination and strength, not to mention balance and flexibility, makes life more fun for a kid. As they build strength, they can play better and for longer. These skills will also help them if they decide to take on new activities in the future, like organized sports. Many modern parents worry about how much time their kids spend in front of a screen. While previous generations worried about too much T.V., today’s kids also have to deal with computers, smartphones, and tablets. Providing new, fun activities like football games for kids is a great way to get your kids away from the screen. Football games for kids and other fun exercise ideas make getting outside sound appealing, not like a chore. With the right games, your kids won’t even need a reminder to put their phones down and go outside. Even though they seem like unrelated things, football games for kids can actually help your child in school. Learning a new game takes concentration, and figuring out how to win takes focus. Physical games get their brains working at full capacity, creating strong neural connections that will also help when it’s time to study. Broken bones are sometimes a part of childhood. But more physical activity means stronger bones, reducing the risk of these injuries. Childhood play can also help prevent bone problems later in life, like osteoporosis. Kids who have trouble falling asleep at night might just not be getting enough exercise. When you get your kids playing football games, they’ll burn off their excess energy and be much more amenable to bedtime. If you want your kids to build new, strong friendships, have them invite their friends or neighbors over to play with them. Football games for kids are a great way to spark a new friendship and create the perfect icebreaker so kids can get to know each other. If your kids play with their siblings, they might even form a closer bond with them, too. Many adults cringe when they hear the words “football” and “kids” in the same sentence -- and for good reason. Football is a notoriously dangerous sport. However, the best football games for kids are totally safe and age appropriate. As a parent, you can also take some steps to help your kids play safely. Here are a few safety tips to keep in mind while you play. If your kids don’t get a lot of physical activity, it’s a good idea to have a quick talk with their doctor before you introduce new games. A checkup can rule out any concerns that might get in the way of playing. While football on T.V. might be all about the tackles, football in your family shouldn’t be. Make no-contact a rule for all your games, or use safe forms of low contact, like in the game of tag. All physical games come with a small amount of risk. While serious injuries are rare, it’s important that your kid knows what to do if someone’s bleeding or takes a bad fall. Make sure to establish rules for playing football games for kids without adult supervision. Very young kids should always have supervision from adults, or at least their older siblings. And if your older kids play unsupervised, make sure they know what to do and who to call first if there’s an injury. The best games don’t cost much. You can play with things that you find around the house, plus a few easy-to-find equipment items. Depending on what you have on hand, you can play almost all of these games for well under $50. For each game, we’ve highlighted a good source of affordable, reliable equipment. Once you build up a small collection of game equipment, you’ll be able to add new games to the mix without spending more. To create a list of the best football games for kids, we prioritized creativity and age-appropriateness. Most of these games work well for kids of all ages, although younger kids might benefit from some modifications. We also chose games that offer creative takes on football. This makes them appealing to sports fanatics and non-athletes alike. Finally, we chose games that you can play without much equipment. We believe that staying active should be easy, fun, and inexpensive for all families. Now, let’s dive into our favorite football games that your family can play all year round. Don’t let the kids have all the fun -- the adults will love giving some of these games a try, too! During this game, you’ll draw a receiving line and a punting line on the lawn, and have every player line up behind the receiving line. Pick one player to be the kicker (picking the person whose birthday is nearest is always a good way to choose). The kicker goes behind the punting line. Make the punting line closer for small kids, and farther away for older kids. When the punter makes the kick, he or she calls out an even number between 10 and 300. If a player behind the receiving line catches the ball, they get points equal to the number the kicker called. Keep playing until someone has 500 points. Then, if the kids want to continue, the winner can become the next kicker. For this game, you’ll need a ball and a way to draw the lines. Try a can of non-toxic spray chalk and a junior football. 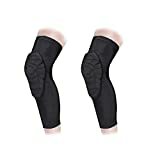 IDEAL - Keeps any athlete safe during play - Perfect for Baseball, Lacrosse, Paintball, Football, Rugby, Tball, Catchers, Goalies, Pitching and Batting. Parents keep your child and players safe while they compete! SIZING - Based on Chest Size: XXSmall : Youth Chest 20-23" XSmall: Youth Chest 23-25" Youth Small: 25-26.5" Youth Medium: 26.5-29.5", Youth Large: 29.5-33", " Youth XLarge: 33-36"
If your kids are serious about improving their aim, they’ll love the football tire toss. You’ll need a tire, some rope, and a place to hang it. Adjust the height according to your kid’s age. Then, have them take 10 throws to try to get the ball through the tire. Each time they get it in, it’s one point. After 10 throws, the next player gets to try to score more points than they did. Invest in a sturdy but cheap rope, and visit your local junkyard to find an old tire. You can choose the right football size depending on your kids’ ages, or use a junior football for casual play. FOOTBALL COSTUME FOR KIDS - Kids love playing football and imagining that they're the star of their favorite team. Now they can let their imagination come to life with NFL-styled team uniforms. SHOW YOUR TEAM SPIRIT - Whether you're looking for a Seahawks' costume, a New England Patriots' costume, Dallas Cowboys' costume, Cleveland Browns' costume, or another team, now your child can let their team spirit show! 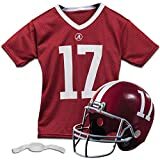 INCLUDES A COMPLETE FOOTBALL PLAYER OUTFIT - This Franklin Sports NFL Deluxe Youth Uniform Set includes a helmet, jersey, pants, chinstrap and iron-on numbers for customization of your favorite player or lucky number. PERFECT FOR GAME DAY - No football uniform is complete without a helmet. Just know that it's only for play and not to be used as an actual helmet! It has been modeled after real team helmets with official team logos for added authenticity. GREAT FIT - EVEN AFTER WASHING - Ideal for ages 4-12, this kid's football player costume retains its fit even after wearing and washing dozens of times. 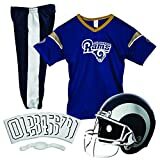 This team spirit football costume is great for game day, spirit day at school or Halloween. During ultimate football, the rules are similar to regular football, but with one difference: there’s no running with the ball. Each team moves their ball towards their end zone by passing and catching it. Since there’s no running, there’s also no touching or tackling. The ball goes to the other team if the ball gets dropped or intercepted by the defense. To play, you’ll just need to set up two endzones. Mark the endzones with weighted cones, and consider using colored bandanas to tell the teams apart. Not all football games for kids need to be heavy on the sports. For the family that doesn’t take sports too seriously, try a fun football dance competition instead. In this game, one person is in charge of playing music and stopping it at random. Every time the music stops, they call out a football word, like “touchdown,” “pass,” or “cheerleader.” The dancers have to pretend to do that football move until the music starts back up. When a player can’t think of what to do, they get eliminated until there’s only one player left. For this game, all you need is an easy-to-use speaker. Try a portable Bluetooth option so the person in charge can control the music from their smartphone. Machine wash cold with like colors. Tumble dry low as needed, remove promptly. Do not iron. Fully washable. Item is Youth Size. This classic variation turns football into a safe, non-contact sport. Your kids will get to learn the rules and play real football, but with flags instead of tackles. Each member of each team wears a flag belt, and other players have to pull a flag off their opponent’s belt instead of tackling them. You can play up to a certain point limit, or use your phone as a timer. 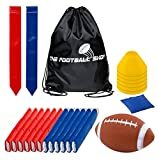 You can find complete flag football sets with belts, flags, and cones for under $30, making this an inexpensive way to keep your sports-lovers happy. · KIDS CAN SHOW THEIR TEAM PRIDE by rocking their favorite NCAA team's jersey and helmet when they take the field! · SIZE: OSFA recommended for ages 5-9; Waist: 22-25", Chest 25-29", Height 48-54"
Fake-Out Tag helps your kids practice the exciting “fake out” moves they see their favorite players do on T.V. In this game, you’ll have two players start on opposite ends of the field. The one with the ball has to try to “fake out” the other player without getting tagged. If they get tagged, the other player gets to start with the ball next. This game is easy to play with just a football (and if you don’t have a football handy, it can work just like a game of tag). For added fun, get an LED football and try playing in the dark! Football games for kids don't need to be complex. For some kids, kicking the ball is the best part. Try setting up a field goal, then having the kids take turns kicking it. The person who just kicked can become the holder for the next player. Set a number of points for the kids to play to. To make the game feel more realistic, buy a youth field goal post to set up in your yard. You can adjust the height according to the height of the players. Football games for kids can bring the whole family together, and come with the amazing benefits of exercise for your kids. Get your kids into these games, and their friends will soon want to get in on the fun, too. If your kids don’t love one game at first, don’t worry. Try a few others on this list and see what they like. We’ve included a variety, so there’s something here for everyone from the sports fan to the music lover. Do you have more football games for kids to add to the list? Let us know your ideas in the comments! Kids need at least one hour of exercise every day to stay healthy. Not sure how to get your kids to get the activity they need? Try football games for kids.